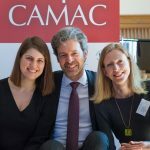 Camac FLASH!The Camac Festival will be…in Toulouse ! Those of us who are getting older and gray wise remember the days of two big international competitions. 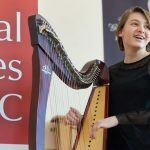 Today, the harp scene has never been more global: international travel is cheaper and easier, and even at home the incessant chirping of our WhatsApp, Skype WeChat, Viber and social networks keep us constantly connected. Musicians have always been voyagers; young artists particularly move easily about the world, their horizons wider than ever before. The rise in the number of international competitions would not be possible without this mobility. 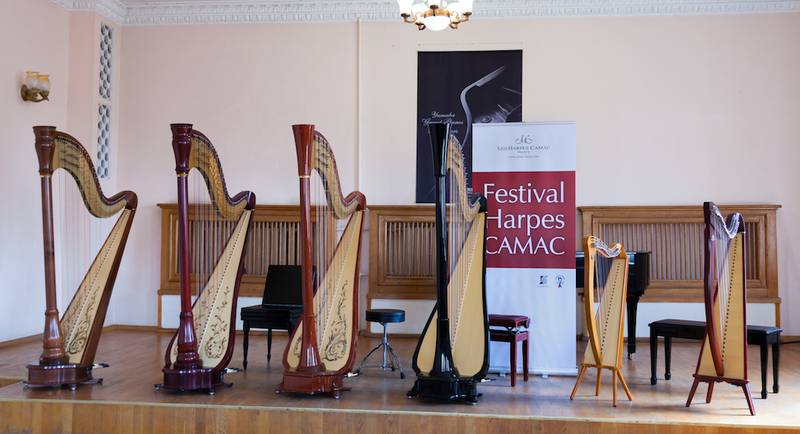 Harpists attend more competitions, as competitors or accompanying their students. This gives them the idea, and the experience, to organise their own. The ‘Glowing Harp’ contest is organized by a well-travelled competition veteran: Veronika Lemishenko. 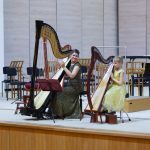 Veronika was a member of Milda Agazarian’s formidable class in Moscow, and is now Principal Harp with the widely-acclaimed Ural Philharmonic in Ekaterinburg. She performs all over the world, from the Folles Journées in Nantes to the Royal Academy of Music in London; we have been delighted to invite her twice in 2019 (to Lisbon, and Toulouse). Frequent travelers also love to come home, and after so many journeys, Veronika has based her competition in her native city of Kharkiv in Eastern Ukraine. She has also organized it together with her first teacher of all, Larysa Klievtsova. 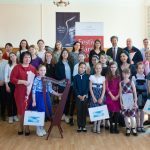 In the Kharkiv Special Secondary Music School, an academic grammar school with special musical focus and the possibility to board, Larysa steadily trains children to play the harp well – with a good position, warm sound, considered musicality and intelligently-chosen, well-prepared programmes. This is not as easy to achieve as it sounds, including in many a far more comfortable economic circumstance in the West. Kharkiv is an arty metropolis of around two million people, an hour from the Russian border. It has a cavernous Soviet opera house; a beautiful neoclassical Philharmonic hall; and a lot of welcome enthusiasm for Veronika and Larysa’s competition mission. Yuri Yanko’s Kharkiv Philharmonic backed not only the finalists of the most senior category, but all age groups over eleven. 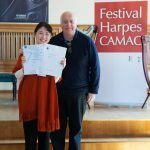 The chance to perform as a soloist with the orchestra is not widely-available to harpists, and this contribution was much appreciated. Composers – another group not always famed for their profound grasp of the harp – also lent their valuable support. 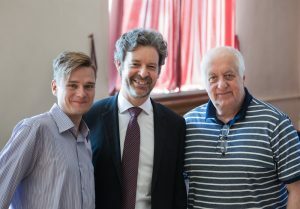 Eugen Andrev composed “Souvenir”, a new work especially for the senior category, and everybody was delighted that Paul “Spider-Man” Patterson could be part of the jury. One of today’s most expert and energetic composers of harp music, Paul is also unceasingly generous with his time. 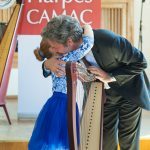 His regular presence at harp events allows harpists of all ages and stages to work in detail with a living composer, on a large body of well-written and enduring repertoire. Veronika has attended many competitions herself, and used all her experience for the good of her planning. Most competition organizers want contestants and jury to have good conditions, but good intentions are one thing, and effective realization is another. 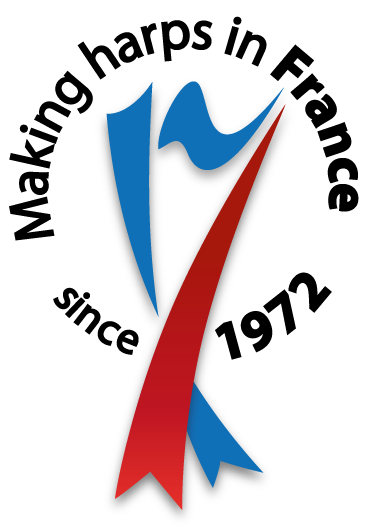 The Kharkiv team are admirably commitment to their candidates and jury, with a clear and well-prepared practice schedule, a considered choice of hotels and restaurants, warm hospitality, and prizes put together with love and care. Competition prizes are not just a question of the bigger, the better: they need to be a good fit, or they can become almost unhelpful. 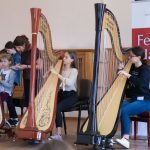 Young musicians need to be ready for concert tours or recordings; what is important is to send particularly junior laureates home with something they can completely enjoy. The prize becomes a symbol of a happy experience – one on which the student can build, practically or psychologically. Speaking of good experiences brings me on to the issue of competitions with or without surrounding events programmes. Doing one is more work for organizers. For it to happen at all, they frequently have to perform most of it themselves, when they have no time to practice and a thousand other tasks. Undeterred, Veronika and her colleagues provided no fewer than three evening concerts. 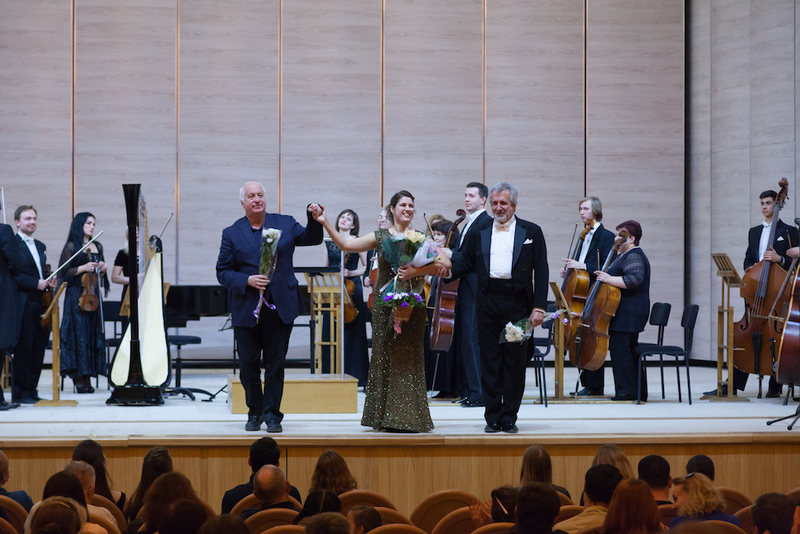 We enjoyed a very positive opening concert, with quartets, duos and solos from jury members, Ukrainian harpists and the winner of the last edition of the competition, fourteen-year-old Bahar Asci from Turkey. In the middle of the week, we decamped to an art gallery for a delightful chamber music programme. This had something for everyone: favorite arrangements of Satie and Piazzolla; more unusual repertoire for the shoal of harpists (Patterson’s clever, rhythmic “Canonic Lullaby” for flute and harp, and a transcription of Saint-Saëns’s second oboe sonata); concert, electric and Bardic harps. 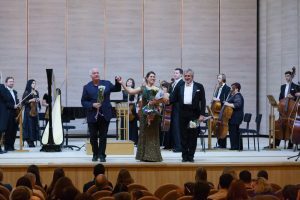 Finally, there was the closing gala, featuring competition laureates, the Kharkiv Philharmonic once again, and the Ukrainian premier of Patterson’s “Spider’s Web” for harp and orchestra. 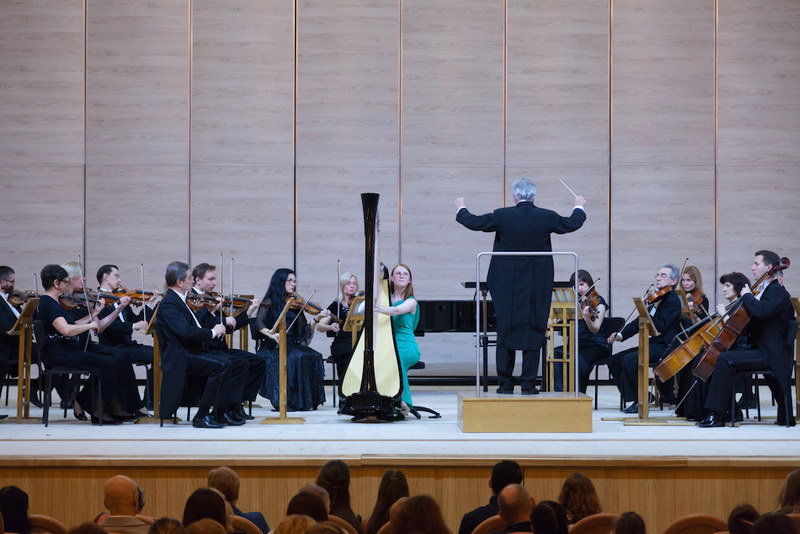 All concert programmes were accompanied by charismatic and interesting moderation from Kharkiv musicologists, in Ukrainian and English. One of our esteemed partner-technicians, Nadav Konieczny, also gave a morning’s workshop on harp maintenance to a large and attentive audience. Events like these are enjoyable and help take candidates’ minds off the stress of competing. They also mean that everyone, whether they win or lose the competition, comes away having gained something. It is this sense of gainful experience that is the most important effect of competent and warm-hearted organisation. You can approach competitions in various ways. One is to treat them like sport. You focus on winning, and you do whatever you have to do to have as good a chance of that as possible (such as staying focused, alone in your practice room). It is important to learn how to do this where necessary: the musical marketplace is crowded and tough, and there is nothing more effective than a competition for pushing your level and training your nerves. If, later, you are auditioning for an important job, you also have to go all out to win, for you are not there for any other reason. Usually, the same applies to the biggest competitions. The other way to handle many a competition – especially in younger age categories – is to make the most of your chance to be present, and do your best. The art of showing up is frequently-underrated, but it is an important part of much career development. If you go to a competition, you can also decide not to hide in your practice room, but instead to attend everything. You’ll still have plenty of personal challenge, and you’ll also see how everyone else is playing, make new friends and gain new inspirations. None of this is trivial: the friends you make at competitions will frequently become your collaborators and colleagues at festivals or on juries later in your career, and you never know who might be sitting in the audience. One approach is not better than the other. It is a question of what is best for the individual, at the stage you are at and for the competition you’re in. In any case, a competition framework that allows you to choose how you’ll do it is always constructive. Even if you do not go home with the first prize, you will have won many other things. 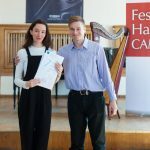 The Russian School traditionally gives its competitions poetic names, and this one is called “Glowing Harp” because its directors hope that the competitors will discover colourful musical vistas – “bright and shining”, as they wrote in the programme. 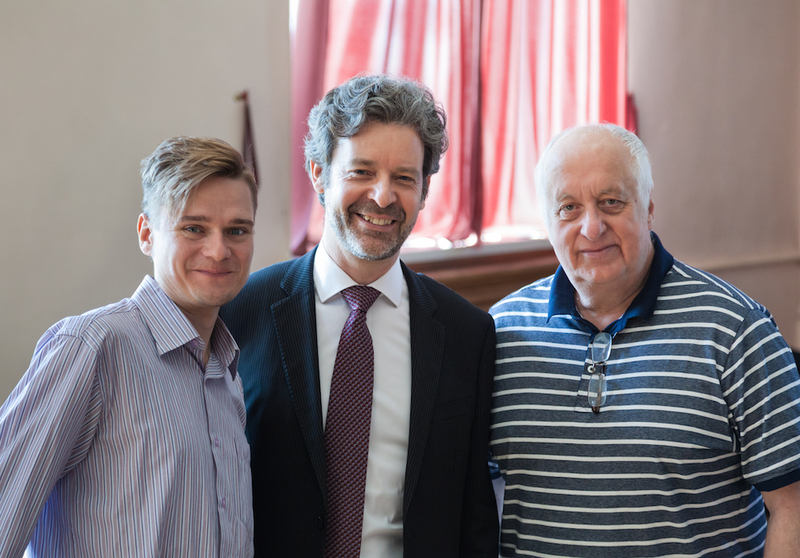 We would like to offer our warmest congratulations to Veronika, Larysa and their colleagues, for having created such a thoughtful and generous opportunity for young musicians.